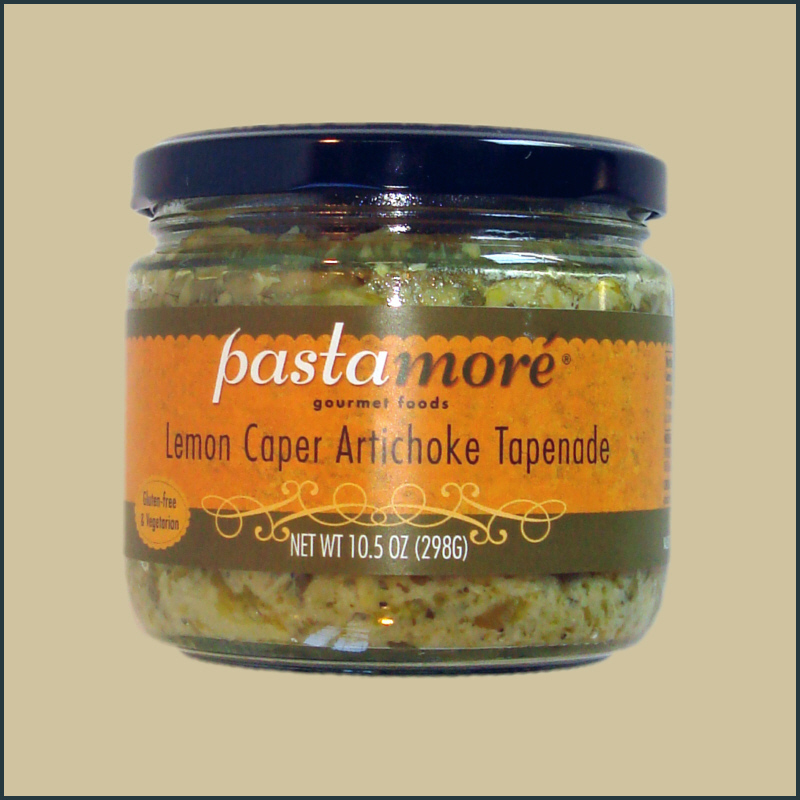 Smooth silky artichokes are celebrated in this tapenade, but the co-stars make this different from our other artichoke tapenade creating for a new taste sensation. 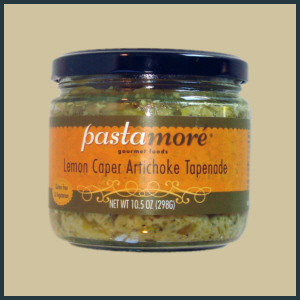 Lemon and peppery capers bring a zing along with garlic and a hint of Parmesan cheese. A tapenade is a spread, most commonly associated with the Provençal area of France. It is used as a hors d’œuvre and spread on crackers, crudités, or crostini. We also like to utilize them in other culinary ways, such as fillings for omelets (with goat cheese! ), thinned slightly with white wine for use as a pasta sauce, or as an amazing condiment. Try this as a topping for a hamburger, or in a sandwich instead of mustard and mayonnaise. Bring this to a party, but don't forget to bring an extra for the host. When you bring out something like this somebody will always ask where you got it. I bring an extra and leave it as a present. It's something people don't expect but really enjoy. PS . . .GREAT at the beach! I just want to say I am in love with this tapenade! I am not usually a big caper fan, but this is amazing!